The Marta Mitchell Interior Design Team handles a large variety of projects with diverse scopes. Each project is managed and implemented with Marta’s direct oversight and input. Below are the interior design services offered by Marta and her team of interior designers. Our interior designers have experience with a wide variety of styles from traditional to contemporary and everything in between. We design interiors that blend with our clients’ style preferences and the family’s lifestyles to provide truly creative and comfortable interiors. Learn more about our residential interior design services. Our commercial interior design services include space planning and utilization, concept evaluation, 3D rendering of concept ideas, material selection, and complete turn-key implementation. You focus on your business and let our team of commercial interior designers handle transforming your office or commercial space into an environment that is unique to your brand. 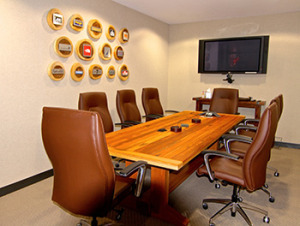 Learn more about our commercial interior design services. Whether you are building a new home or new location for your business, it can be quite stressful. There are so many decisions to make it can become overwhelming. Marta Mitchell Interior Design has years of experience with interior design for new construction, new homes, or new commercial offices. Our team learns your style preferences, needs, wants, and budget. We incorporate those elements into interior design concepts that are presented in a virtual 3D rendering format to really help you visual what your space will look like. Once approved, we take care of all the details for you. Learn more about our interior design services for new construction. Looking to get creative ideas to bring new life back into your existing space? Marta Mitchell Interior Design will review your existing space and provide creative ideas to totally transform your area. We will evaluate the space, provide design concepts, project scope, budget, and manage the project implementation and execution phases. 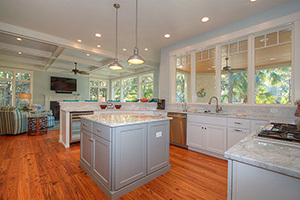 Learn more about our renovation services and be sure to visit our online gallery for inspiration. Downsizing from the family home can be difficult. What furniture to keep? What to move? How to make the best use of a smaller space? These are but some of the dilemmas seniors face when making the move from the family home to a smaller place. 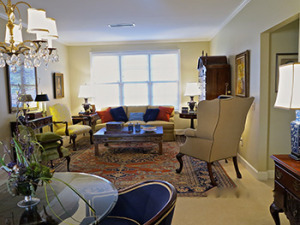 Our interior designers have helped many seniors through this transition in their life. We can use our experience to help you and your family navigate through it with less stress. 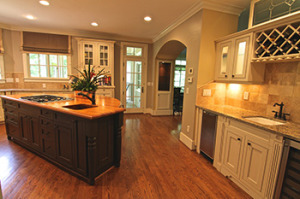 Learn more about using our interior design services to help you downsize. 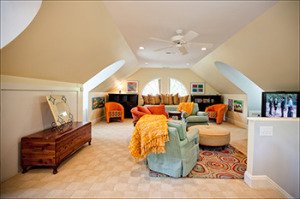 Professional home staging can accentuate a house’s full resale potential. Home staging doesn’t need to replace all your items. Oftentimes our designers use your existing furniture and accessories with just a few additions from our furnishings. Rearranging select pieces of furniture for better flow and updating select accessories is often all that is needed. These home staging adjustments can increase the resale value and make for a quicker sell. Before putting your home on the market, contact us to explore how we can help stage our home for the best resale value. 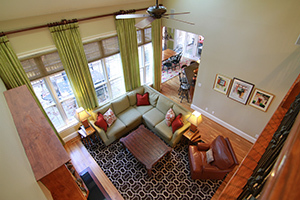 Learn more about our Home Staging services. If you are looking to get a fresh look for an existing space, Marta Mitchell Interior Design can provide cost-effective concepts and solutions for you to consider. We strive to design interiors that will match to your style (not ours) and fit well with your family’s life-style. Learn more about our services to re-design your interior space.